Apart from the most common games of cricket or carom that kids and adults play alike; there are numerous other wonderful games that we all loved to play as kids. 1. Chain. If you had a large gang of friends, this must be your favorite. It was so fun to hold hands and try to catch your next victim. As the chain got longer, the fun increased too! 2. Ready pe Ready. 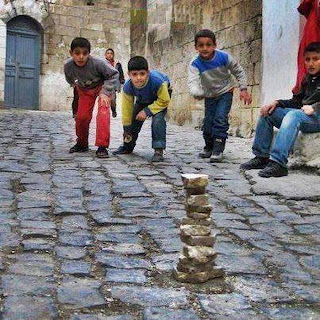 It must be the one game which we all played each evening but never got tired of! So fast and exciting was it that we had to be quick as a cat to not get caught! Ultra exciting! 3. Kho Kho. Another fast indigenous game that tingled our every nerve. We even had matches with other colonies. 4. Pitthu. A super exciting team game that we loved to play at all times. It called for our skills to aim, run swiftly pick up the tiles and arrange them, duck the ball! 5. Nadi-pahar. Awesome! All Indians must have played this as kids. Get up on the platue run down in water to tease, it was so thrilling! 6. 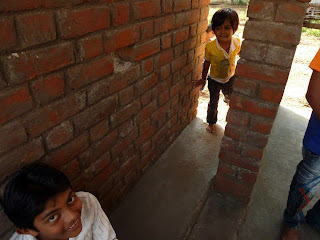 Chhuppan-Chhupai (Hide n’ Seek). It is the most popular game among kids, and perhaps worldwide. We still love it as much as we did in our childhood. Even movies show children or even grown ups playing it; such was this game; refreshing! 7. Poshampa. Making a bridge with our hands and singing ‘poshampa bhai poshampa’ and taking a prisoner at the end of the song to join one of us…Then started the ‘rassi kheench’! 9. Stapu (Hopscotch). Every girl and even boys must have equally played and enjoyed this game. Even the grown ups can’t stop themselves to hop a little themselves when they see the kids playing hopscotch. 10. Chidiya udd Maina udd. Wasn’t it exhilarating to sit in a circle and test the reflexes of our friends with this super engaging game of chidiya udd? The kid who lifted his finger even on the name of a flightless animal had to pay with a slap on the hands! Cool!